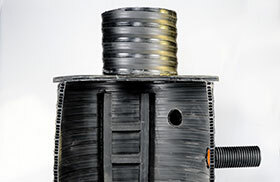 Hebeish Group produces polyethylene manholes, the most trouble-free manholes for a long service life. Polyethylene is tough! This toughness means fewer potential leaks and longer life. 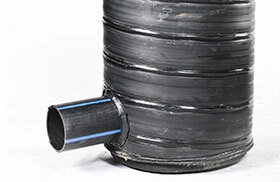 Lightweight polyethylene manholes are easy to install. Smaller pieces of equipment can be used to position these manholes. Inlets and outlets are welding to assure leak free points. HDPE ladders can be fabricated inside the HDPE manhole when requested.